Today I’m doing things a little different. Today it’s all about the party! You may recall that back in February, the hubs became a U.S. citizen (he’s originally from South Africa) and I threw him an America party. Well, now that Memorial Day and July 4th are finally approaching, I’m going to share the pictures from the par-tay to give everyone some ideas in case you want to plan your own party. 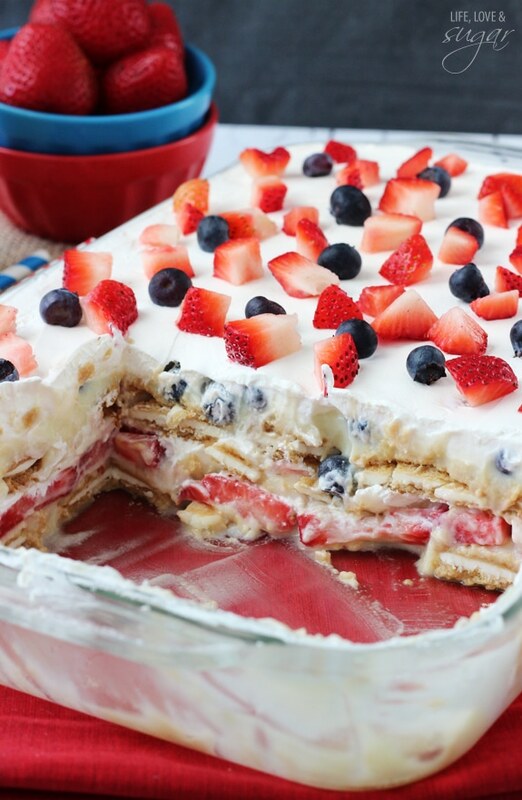 The day was full of our favorite American foods and all kinds of red, white and blue. I started out with BBQ sliders. Totally American. Always loved by all. And in fact, they were the first thing to disappear. We had flag themed plates, napkins and toothpicks. There were also flag balloons, but I forgot to get pictures. I had red and white flowers, too. I’d wanted to dye some of the white flowers blue, but I didn’t plan far enough ahead and despite sitting in blue water for a day, they didn’t have enough time to turn blue. I had red and blue fruit that I’d wanted to use my star cutter on and cut into stars, but I ran out of time. I made a cake, of course. 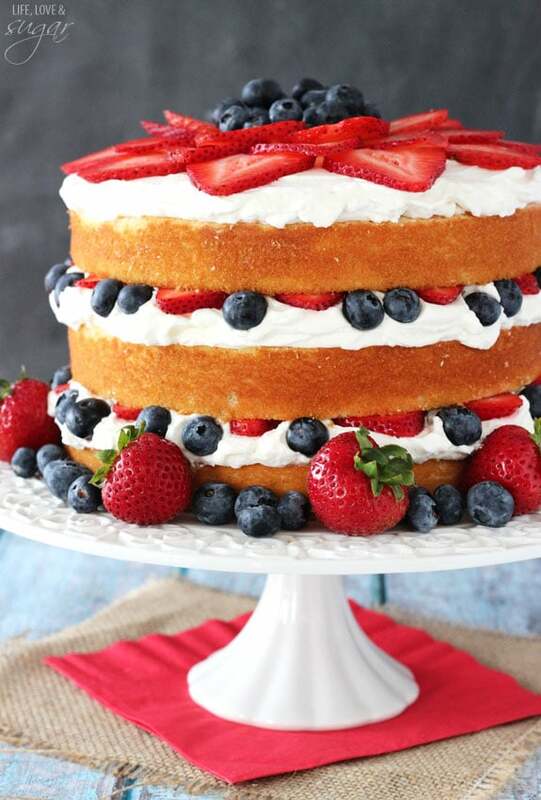 Because no occasion is complete without a tasty cake! I don’t often get to bake recipes from my blogging friends (it’s hard enough keeping up with my own), so I seized the chance to bake my friend Amanda’s vanilla cake. 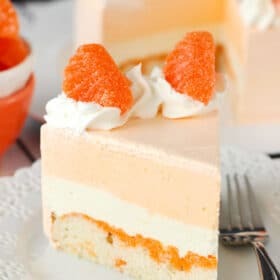 Her’s was a natural one to try since I was making a surprise inside cake (have you seen her book all about surprise inside cakes? I have it. It’s awesome). 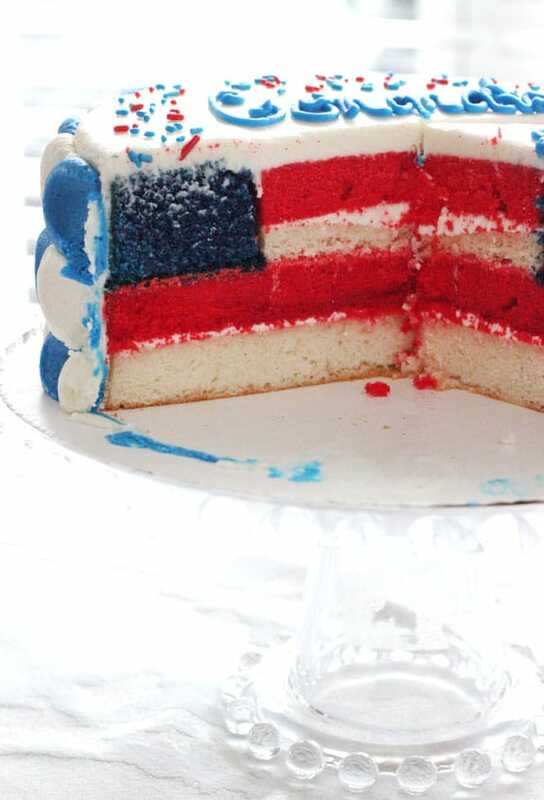 I decorated the outside of the cake using the petal technique and did half with red and white stripes and the other half alternating blue and white to mimic stars and the blue part of the flag. I was inspired by Amanda’s cake, but if you’d like to see a tutorial on how to do a similar surprise inside, here’s the tutorial I used. 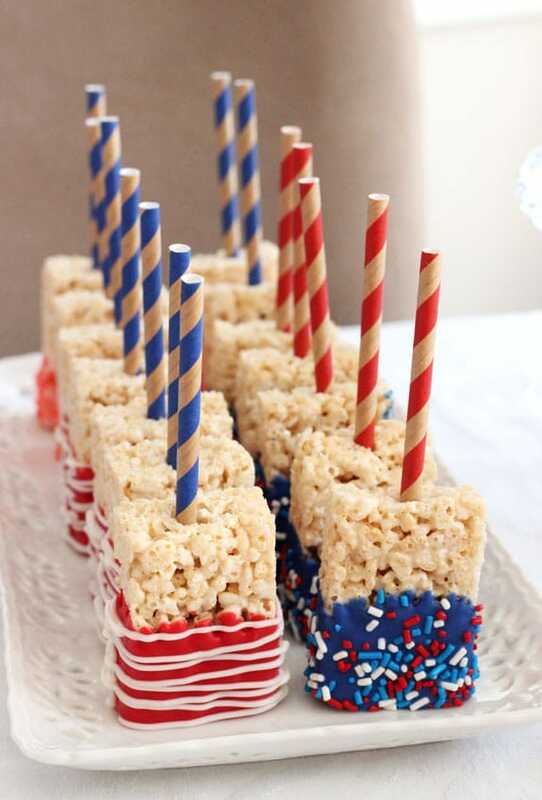 Since the hubs is a HUGE rice krispie treat fan, I had to have some of those covered in red, white and blue. I cheated and bought pre-made rice krispie treats to save time. 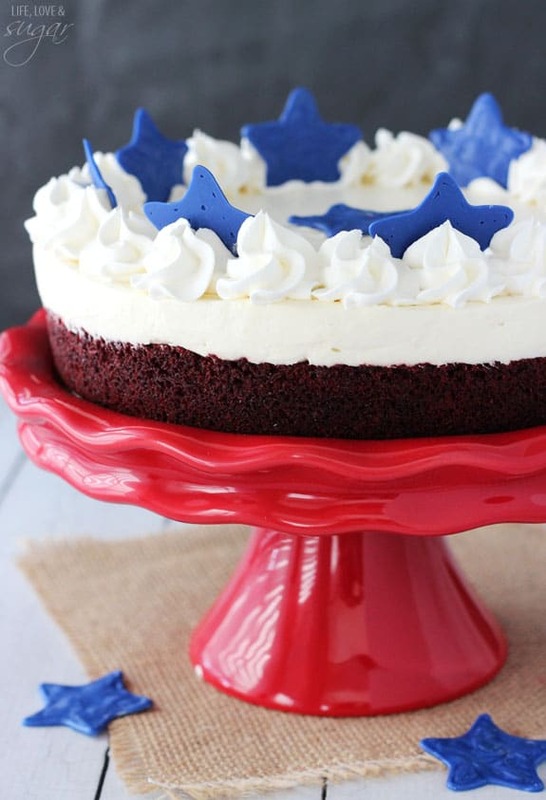 I bought red, white and blue Wilton candy melts and used those for dipping. See full instructions below, if you want to make them. They are so easy! 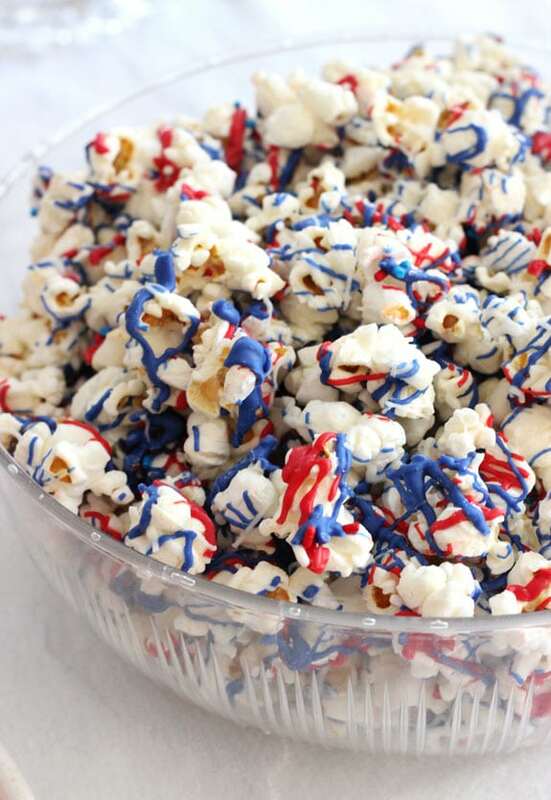 And then popcorn – that’s totally American right? And covered in red, white and blue! Again, I used Wilton candy melts. I spread the popcorn out on parchment paper (I used Skinny Pop brand) and drizzled the melted chocolate over the popcorn. I let it dry, mixed it up and did it again. Popcorn is so simple to make, but I could not stop eating it. I had no idea how amazing white chocolate covered popcorn was. Oh em gee. And then red and blue laffy taffy. I don’t know that this is necessarily American, but the hubs has always loved it. If he were a kid, it’s what I’d bribe him with. There was also a big corn hole tournament. I’ve also heard this game called bags by my northern friends. Whatever you call it, it’s fun. All attendees took part and it was great. And that guy right there is the hubs. Isn’t he just the cutest? He’s a little paranoid about his sock tan, but that’s what happens when you teach tennis. And now he’s American! So there you have it! Our America party in all it’s red, white and blue glory! 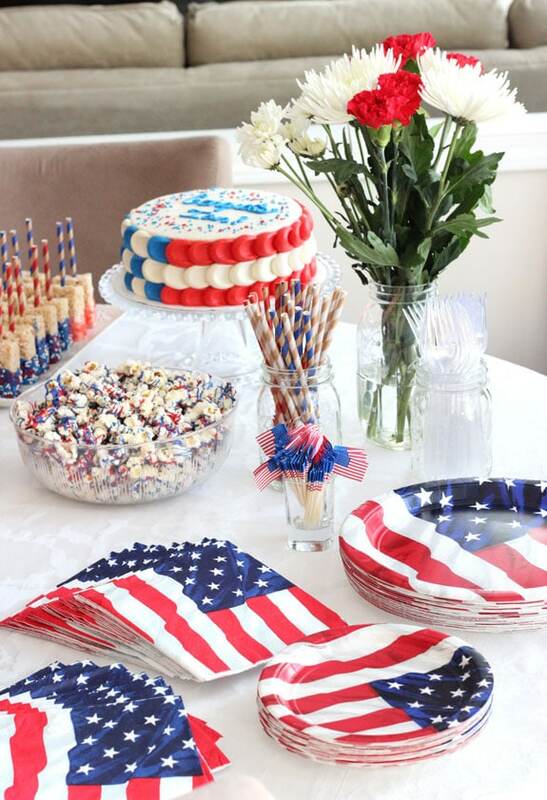 I hope it helps inspire your next America themed party – whether for Memorial Day or 4th of July. Melt the white candy melts in the microwave according to the package instructions. Dip each paper straw into the melted candy and then stick it into the smaller end of each rice krispie treat, on the side. Set the treats on parchment paper to dry. Set white candy aside. Melt the red candy melts in the microwave according to the package instructions. Holding onto the straw, dip each rice kriste treat into the melted candy, coating half of the treat with the red candy. 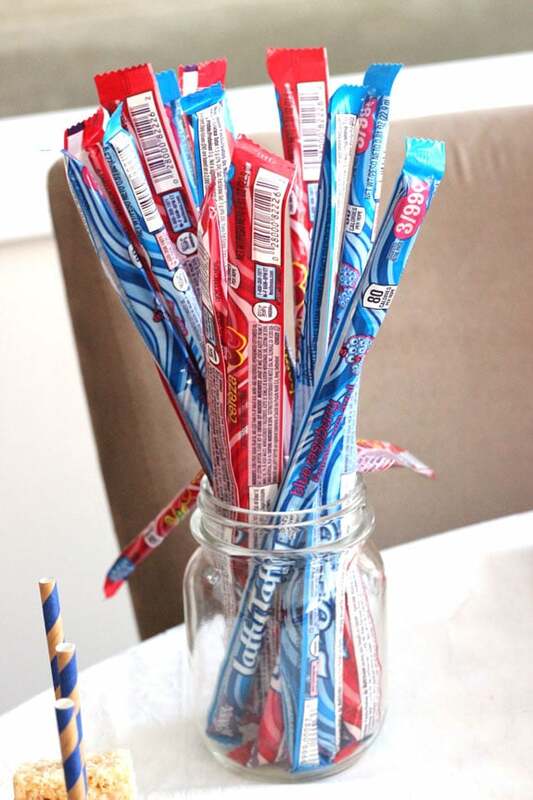 Tap the straw on the side of the bowl containing the candy to remove the excess. Place the treats on parchment paper to dry. Melt the blue candy melts in the microwave according to the package instructions. Holding onto the straw, dip each rice kriste treat into the melted candy, coating half of the treat with the red candy. Tap the straw on the side of the bowl containing the candy to remove the excess. 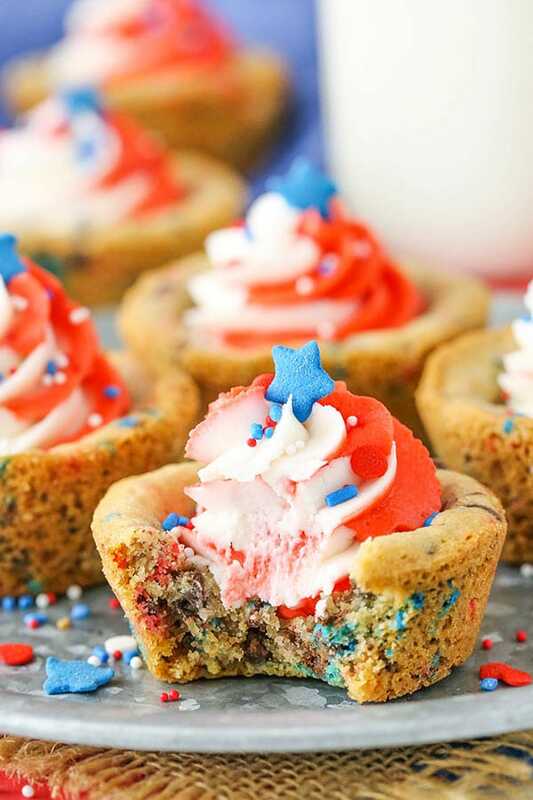 Immediately sprinkle red, white and blue sprinkles onto the candy, before it dries. Place the treats on parchment paper to dry. Re-warm the white candy melts in the microwave so they are melted again. Add the melted candy to a ziplock bag, trim off one corner and drizzle the melted white candy over the red candy-colored treats. Place the treats on parchment paper to dry. Store decorated treats in an air-tight container until ready to serve. Great job! Everything looks beautiful! I love the idea of cheating with the rice krispie treats. I am going to copy you and cheat, too!!! Thanks for sharing. How awesome! 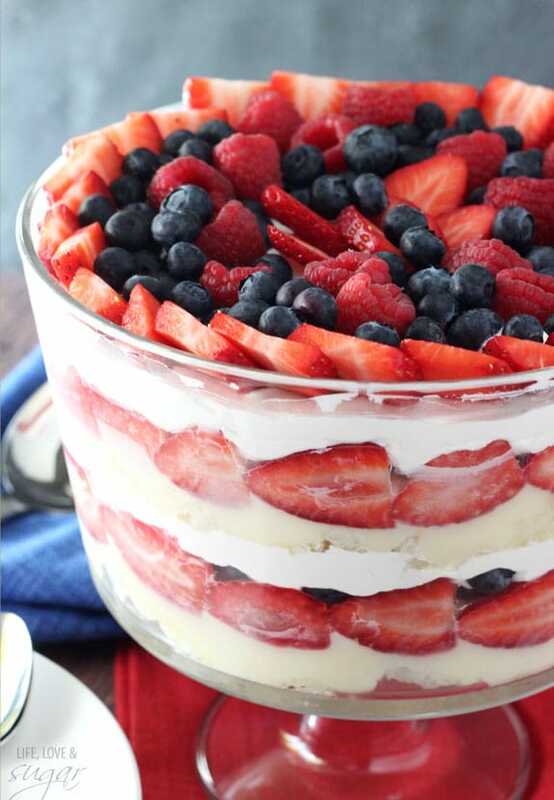 Love all the red, white and blue treats. When I saw the title, this was not what I was expecting. The girlfriend of a friend is from the Netherlands, apparently in Europe they have events called America Parties but they are more like the worst stereotypical frat parties as seen in movies with red Solo cups, pizza, etc. Ha! I saw from pictures from those kinds of parties online while I was looking for ideas. So funny! To be honest, I wasn’t sure if I should be offended or if I should laugh when I saw those pictures! Thank you so much Carrie! That is a huge compliment! 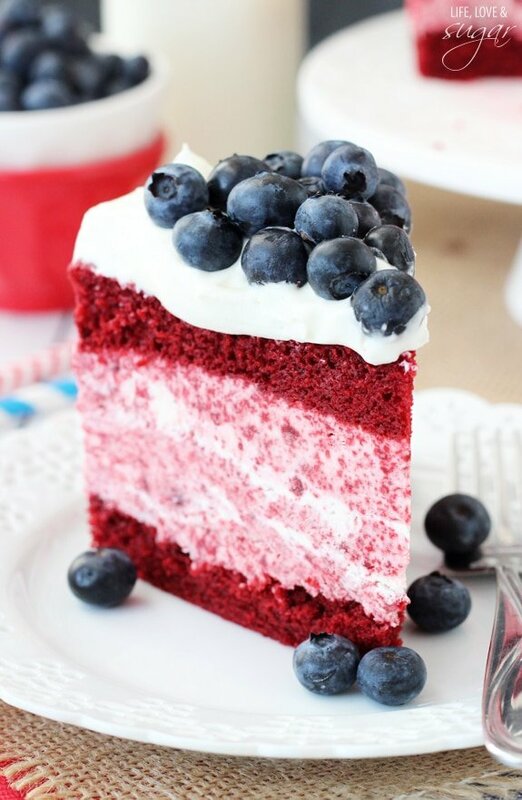 I LOVE your blog and cakes – always amazing! 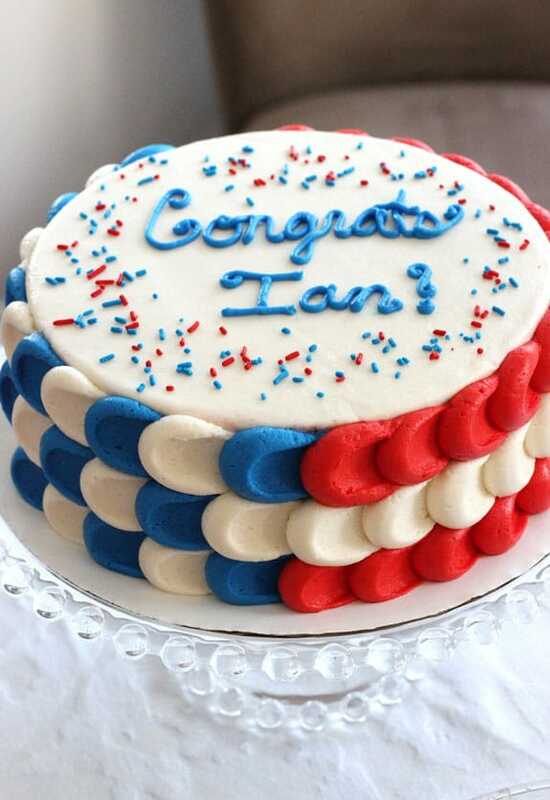 Congrats to Ian again, because it’s such a big deal!! This is the cutest party ever! Love the popcorn and and rice krispie treats and THAT CAKE!!!! OMG. So beautiful, Lindsay! You totally outdid yourself! Congratulations to him!! How exciting. And such pretty decorations and food! Seriously looks like the coolest party EVER! 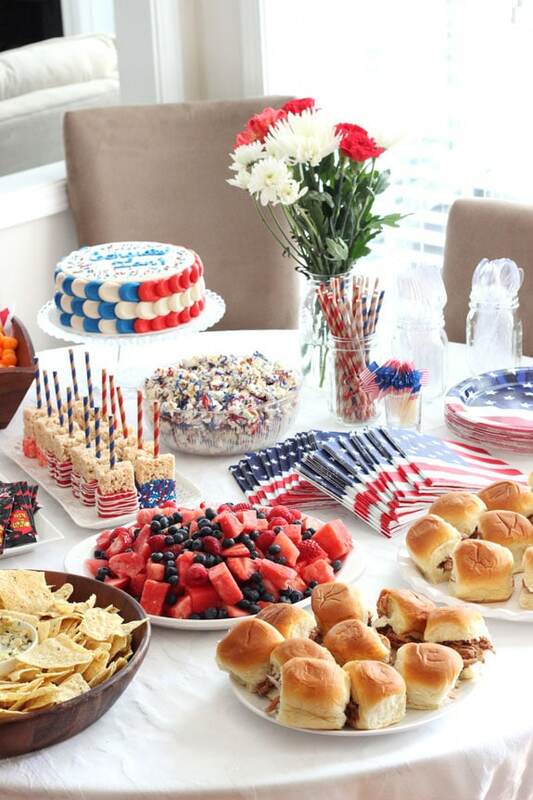 I would love to throw a party just like this for July 4th, our Aussie friends would go mad for it! 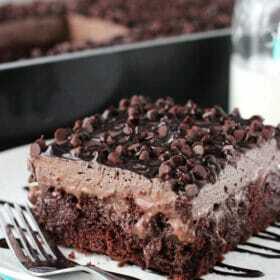 And that cake. Seriously, I am so impressed! Everything is so cute! Congrats to your hubs! I love all the thought you put into the details, it turned out amazing! Wow Lindsay! It would have been fun to help you get all of the food ready if I lived closer! I bet your husband felt really special! Looked like a lot of fun, I just loved the cake and congrats to him! 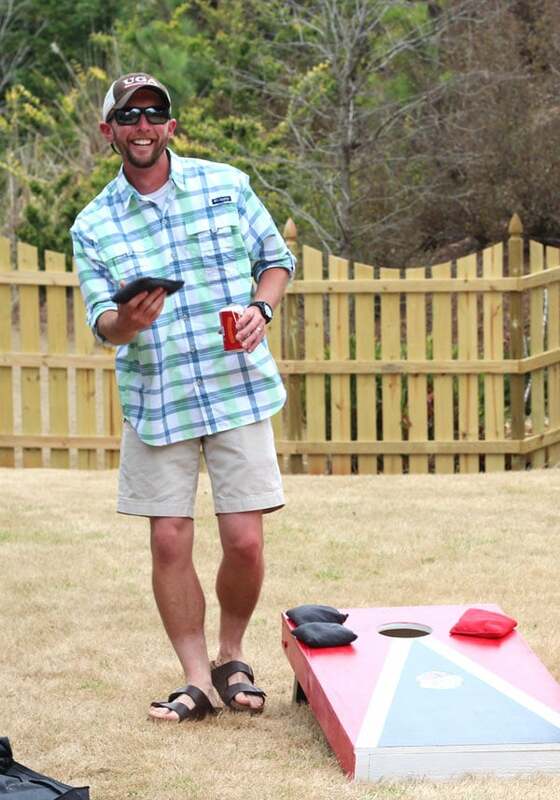 I’ve never heard of corn hole, but then again I’m from the north! 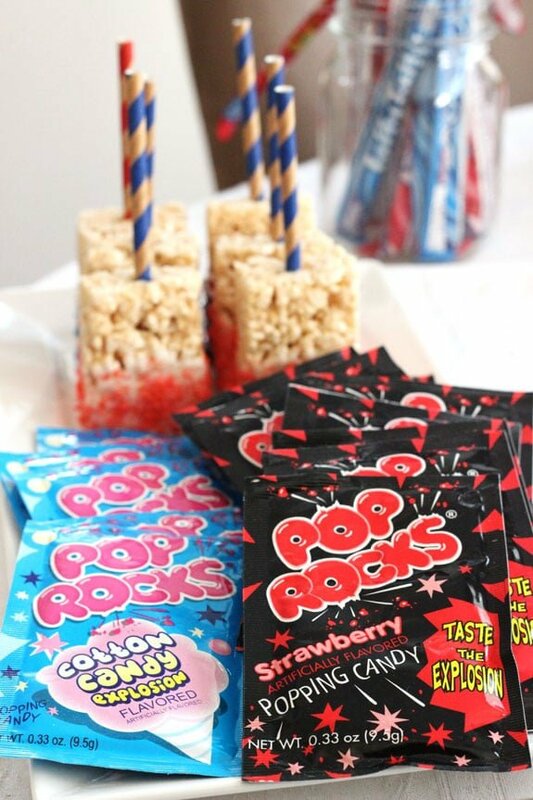 if I use Pop Rocks as decorations, will they still pop when you eat them or does the frosting (if I used them on cupcakes) make them “soggy” so they don’t pop? The pop rocks will tend to pop once they touch moisture. I know when I put them on the rice krispie treats, they were popping like crazy. Not all of them popped though, so there was a little pop left still when you ate them. Icing has even more moisture though, so they might be more likely to pop. 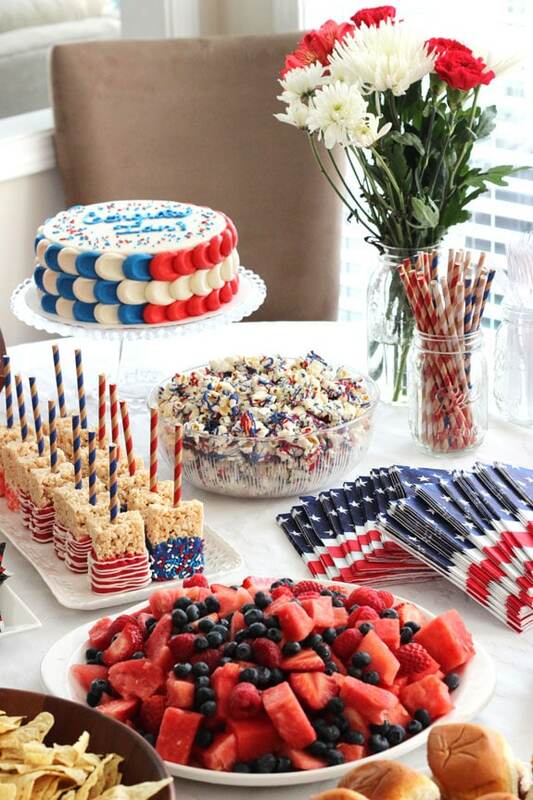 Love this post about a July 4th party, its simple and colorful and easy to do. I will def be using these tips. Thank you and have a blessed 4th! So cute and perfect for red white and blue day???????????? Love the idea. I feel like making that kind a party my self. I just hope that it will work out just as good as yours. Thanks for the inspiration. 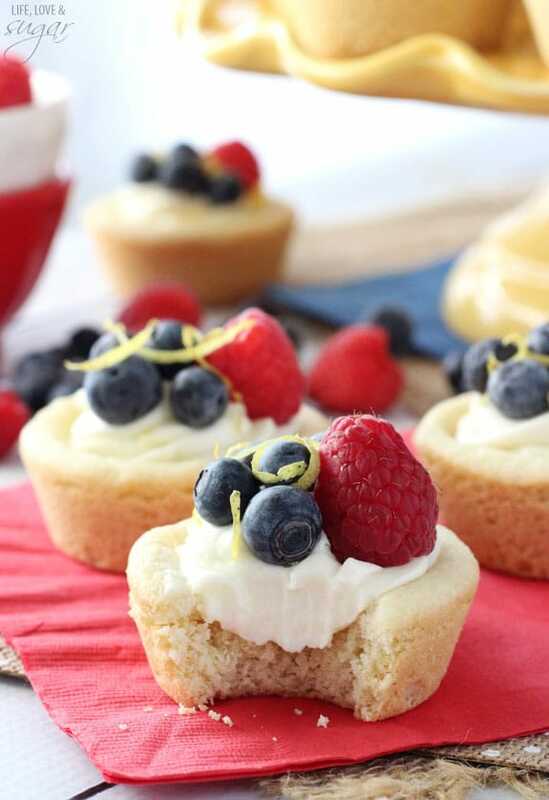 These look so pretty and delicious, I can’t wait to try a few!! I guess this post is from a couple years ago but still congratulations to your husband! How nice for all of you???? OMGosh! So beautiful!! I love the piping technique. I’ve never tried that. What a show stopper! ???? What kind of candy melts did you use on Rice Krispie treats? I tried with Wilton’s and it was more of a royal blue. ???? I used Wilton’s as well. Royal blue seems like it’d be the right one for 4th of July.